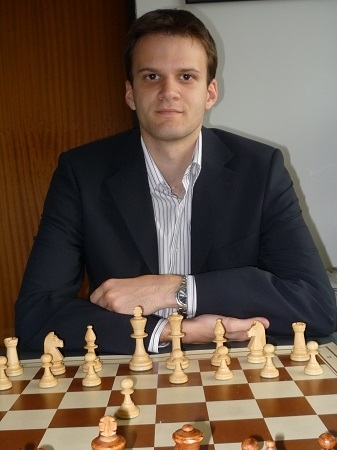 GM Saric - GM Carlsen annotated by GM Balogh - Welcome to the official website of Natalia Pogonina! Welcome to the official website of grandmaster Natalia Pogonina! 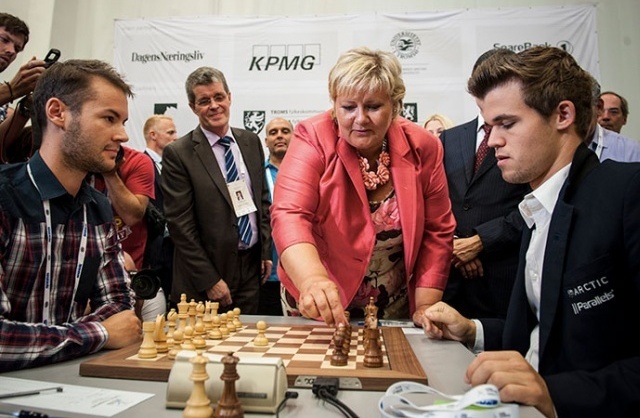 Carlsen played a dubious opening and got convincingly beaten by the Croatian grandmaster. View the game or check out the "text + diagrams" version below. 1.e4 e5 2.Nf3 Nc6 3.Bb5 Nd4 A rare move. The Bird defence of the Ruy Lopez. Black aims to change the pawn structure and obtain an unusual position where he could later outplay his opponent. 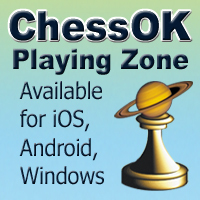 9.Qf4 0–0 Carlsen decided to not count the pawns anymore and tries to create compensation with quick development. However there is no logical reason why Black should have any counterplay for the sacrificed pawns. 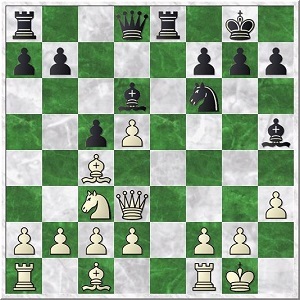 10.h3 It is useful to open the back rank and ask the bishop where it wants to go before grabbing the d4 pawn. 10...Bd6 11.Qxd4 c5 Black tries to improve his pieces with tempo. He keeps on attacking the queen to confuse the coordination. 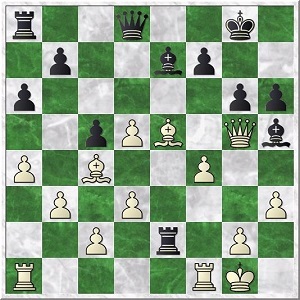 12...Bh5 13.Nc3 White is two pawns up, but it takes some time to connect his rooks by developing the c1 bishop. 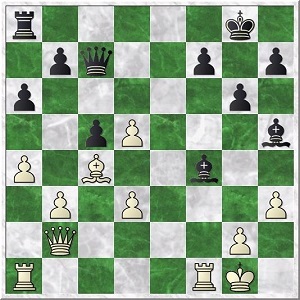 Black has 2–3 moves to find counterplay, but there is no good solution to solve this problem. 14.f4! A very strong move! 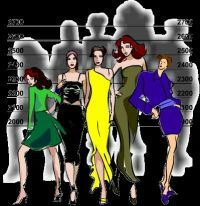 White wants to play d3 and Bd2, but first he needs to remove the queen from the d3 square. 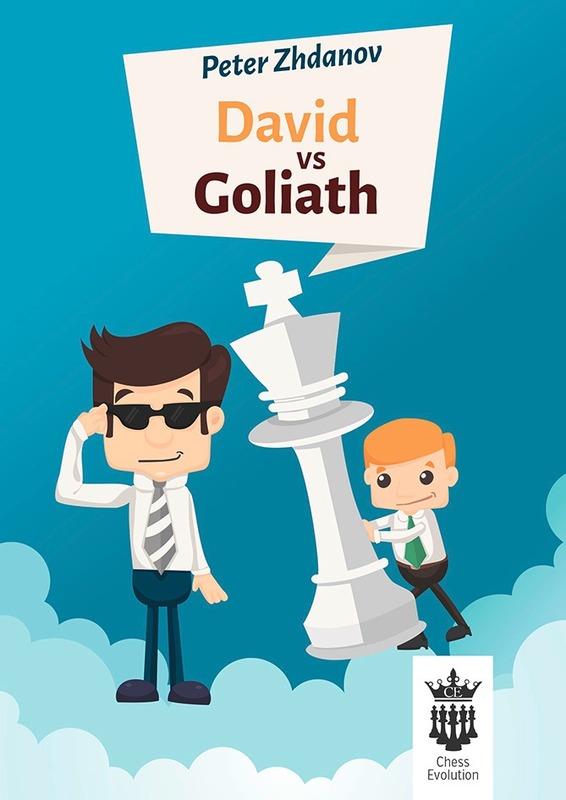 With his last move, Saric closed the diagonal of the d6 bishop and prepares to play Qg3! 14...a6 15.a4 Qd7 16.Qg3! Continuing the plan. White only needs d3 and Bd2 to be completely winning. 19.d3 Re2 20.Qg5! Very concrete play! Suddenly the bishop on h5 feels uncomfortable. 21.Bb2 Thanks to the Qg5 move, the long diagonal became vulnerable. Qf6 is a decisive threat. 24.Qxh6! Very well calculated by Saric, he had to foresee to upcoming ideas before playing 23.Be5. 24...Rxe5! Carlsen has pinned his hopes to this small tactical trick that after fxe5 Bg5 traps the queen, but Saric has prepared a counterblow! 26.dxe7 Qxe7 27.f5+– The rest is easy. White has decisive material advantage and keeps on attacking. 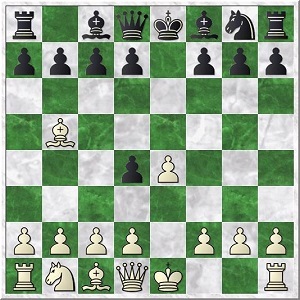 28...g5 29.Qxh4 gxh4 White decided to trade queens and win the endgame with the material advantage. 30.Rf4 Rxc2 31.Rxh4 Be2 32.Re4 White is ready to invade on the 7th. The bishop has no safe square on h5 anymore after eliminating the h4 pawn, because g4 traps it. 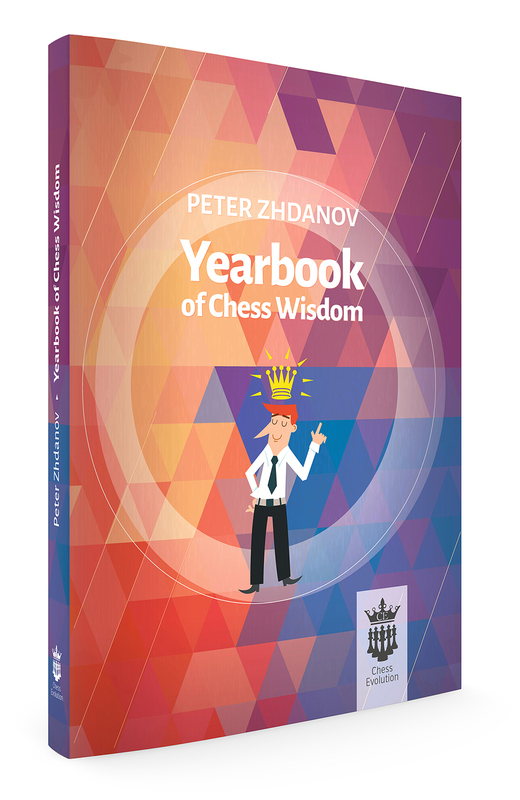 More annotated games, tactics & endgame puzzles, surprise section/study can be found in the weekly Chess Evolution "Top GM Secrets" bulletin. 25 pages total. Subscribe!